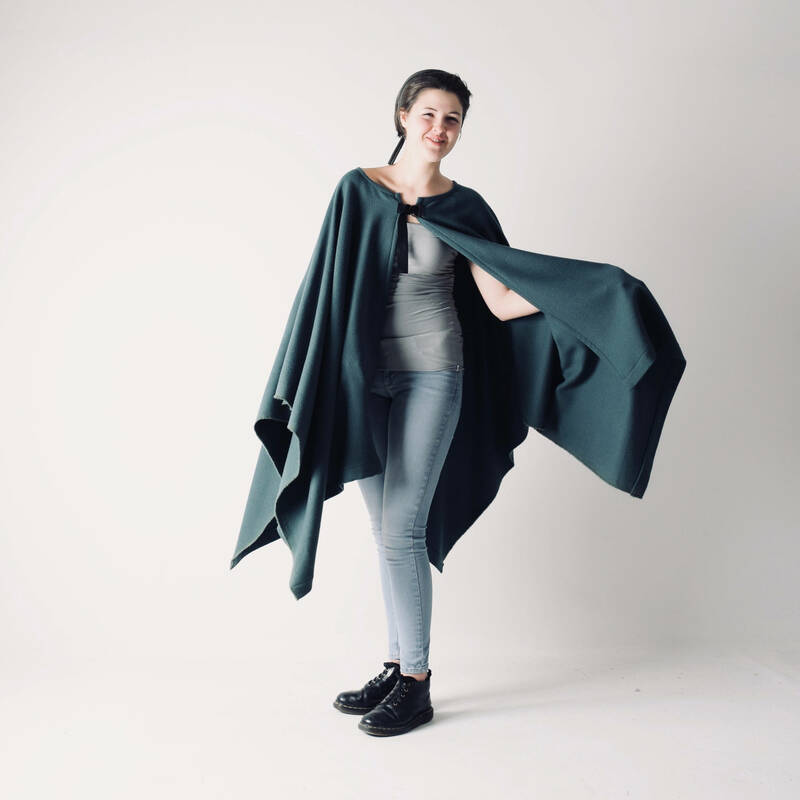 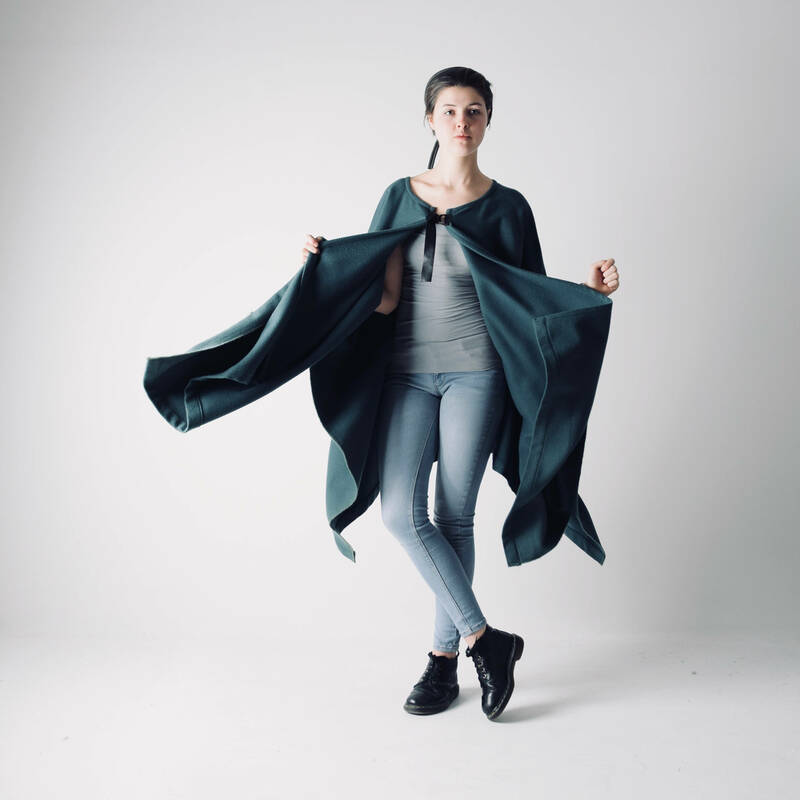 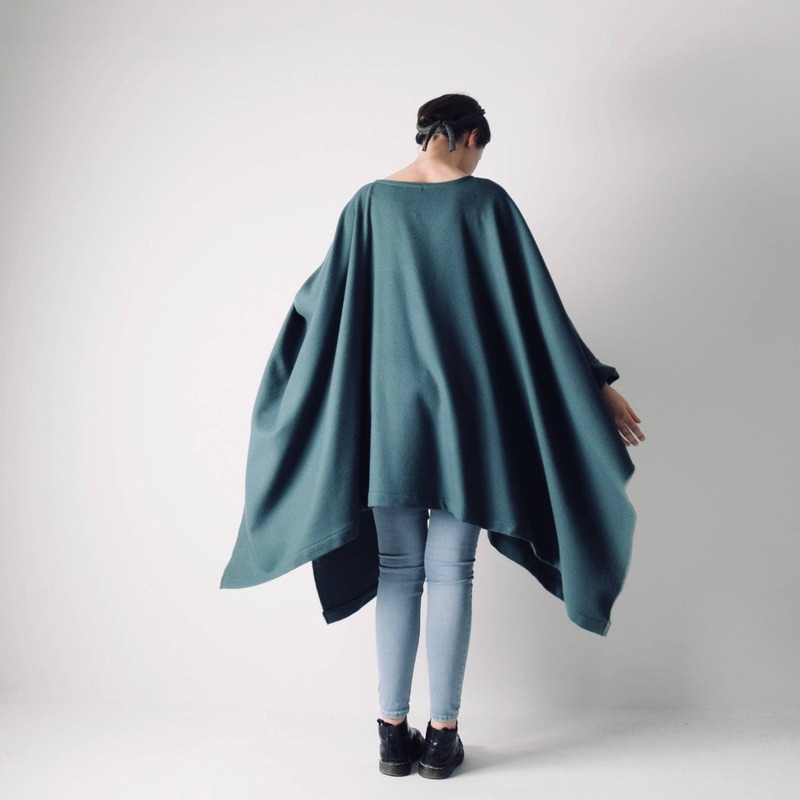 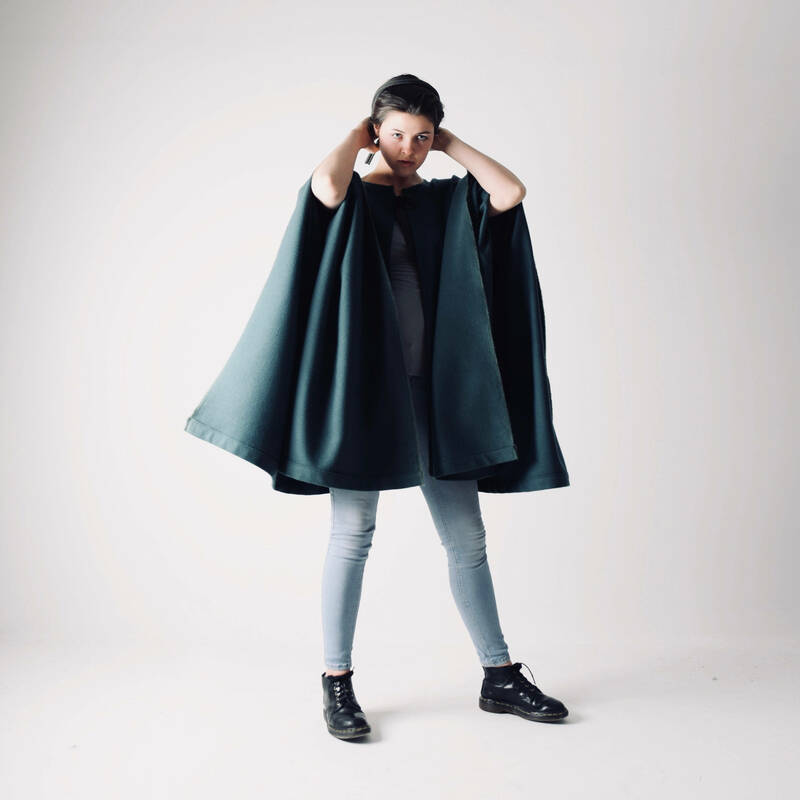 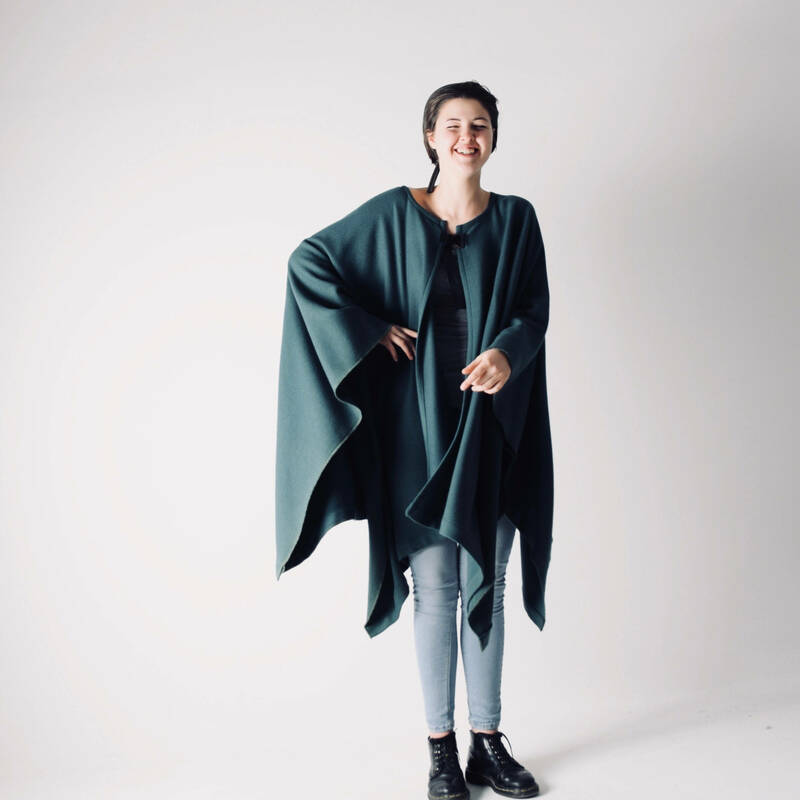 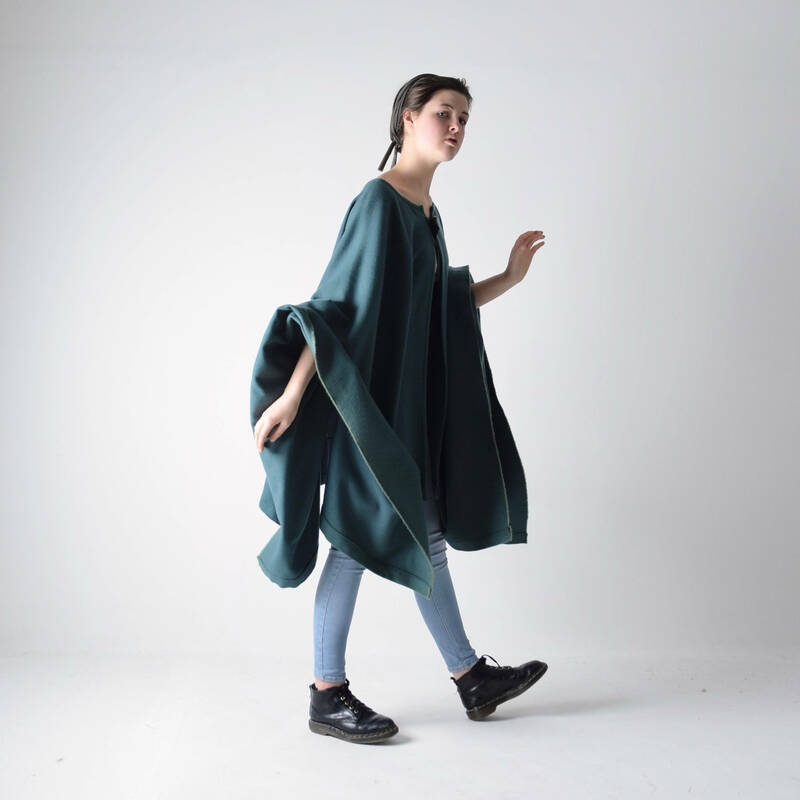 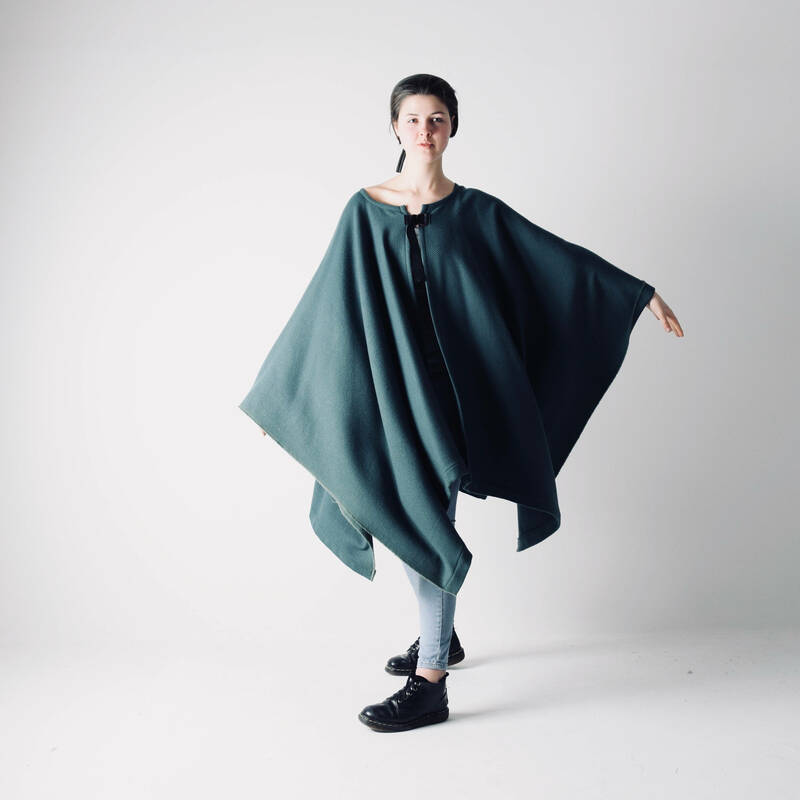 This forest green boho cape is a nod to Medieval cloaks with its rich weave and texture, and the abundant flowing drape. 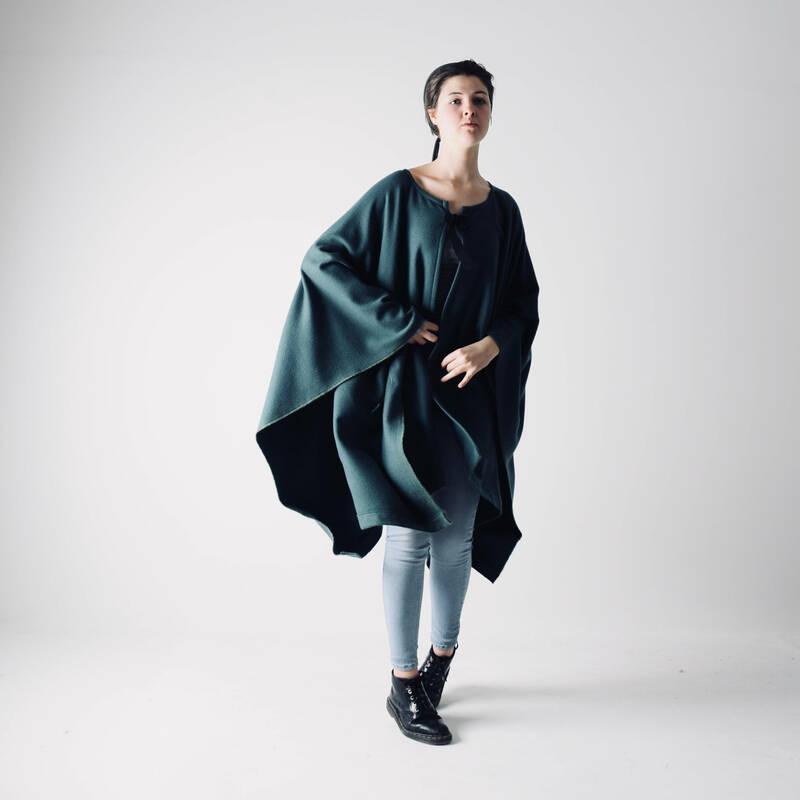 It’s loose and oversized, perfect to wrap around yourself in cold weather. 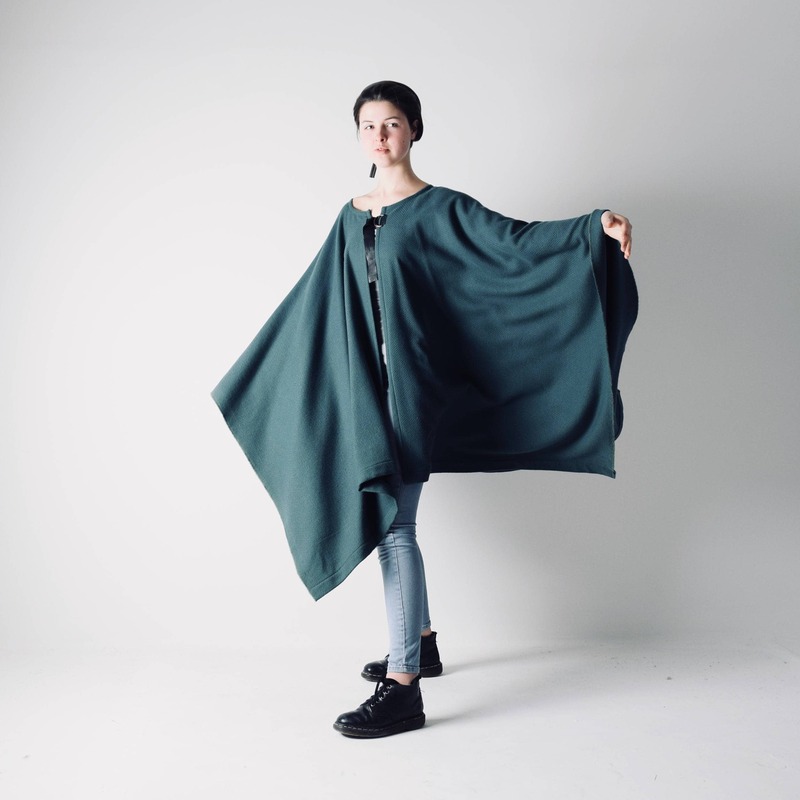 Made with a very soft pure wool weave in a lush bottle green hue, it clasps at the neckline with brass D-rings and a black leather tie. 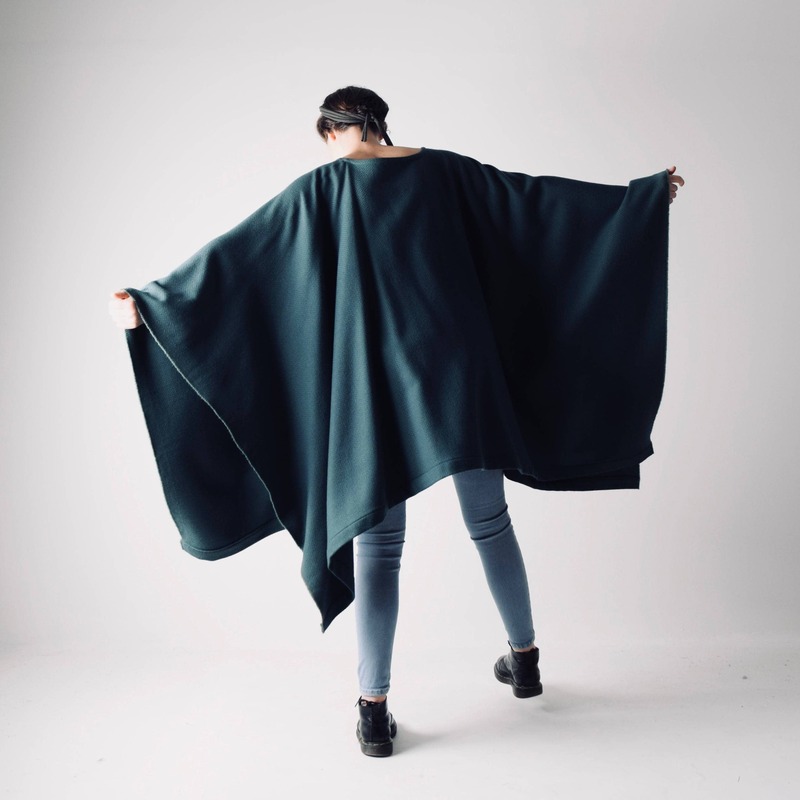 during the order phase and we will make sure to provide a perfectly fitting garment.